JERUSALEM – Priests and other religious workers in Israel will now need to pay tax on any services, blessings, or religious artefacts that they sell. In a recent circular the Israel tax Authority confirmed that religious services and goods should be liable for VAT and should be regarded as taxable income for the purposes of calculating income tax obligations. The Israel Tax Authority has recently been cracking down on the tax affairs of rabbis and other religious figures in an effort to stamp out tax evasion, with a surprise tax audit of approximately 400 rabbis being carried out in December. The Israel Tax Authority stated that any service, whether it is religious in nature or not, should be liable for income tax if the service was performed in exchange for money. JERUSALEM – Businesses in Israel will soon be enjoying a tax break, as a new proposal to slash taxes looks set to pass through Knesset. Over the weekend the cabinet of Israel approved a proposal from Prime Minister Benjamin Netanyahu and Minister of Finance Moshe Kahlon to reduce the rate of corporate income tax in the country. If approved by the Knesset, the rate of the corporate income tax will be slashed by 1.5 percent from 26.5 percent to 25 percent. The first reading of the proposal by the Knesset will be held on December 14th, with the two subsequent readings to be concluded by the end of December. If the readings are passed, then the tax cut would come into force in January 1st 2016. 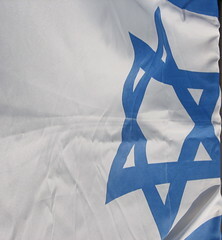 JERUSALEM – Israel has seen a budget surplus, following a small rise in the collection of tax revenues. According to new information issued by the Finance Ministry of Israel the tax revues collected over the first four month of this year rose by 6.1 percent compared to the levels seen over the same period during the previous year. The total tax revenues collected over the four month was approximately ILS 91 billion. The increase in tax revenues has been attributed to an 8.3 percent rise in the collection of direct taxes, and a 3.5 percent rise in the collection of indirect taxes. In line with the rise in collections, the government saw a budget surplus of ILS 300 million of the first quarter. JERUSALEM – Families in Israel will need to take on more debt to pay off their housing costs, unless the government hikes the rate of tax on rental incomes. House prices in Israel are seeing significant increases in prices due to prohibitive red tape and under-taxation, and the upward price pressure is making it difficult for families to make ends meet, according to information in a new report issued on December 17th by the Taub Center for Social Policy Studies in Israel. Currently it takes an average of 13 years for residential buildings to be completed in ISrael, with 2 years being spent on construction while approximately 11 years are spent on planning and obtaining licenses, and the excessive time frame is restricting the supply of housing in the country and raising prices.